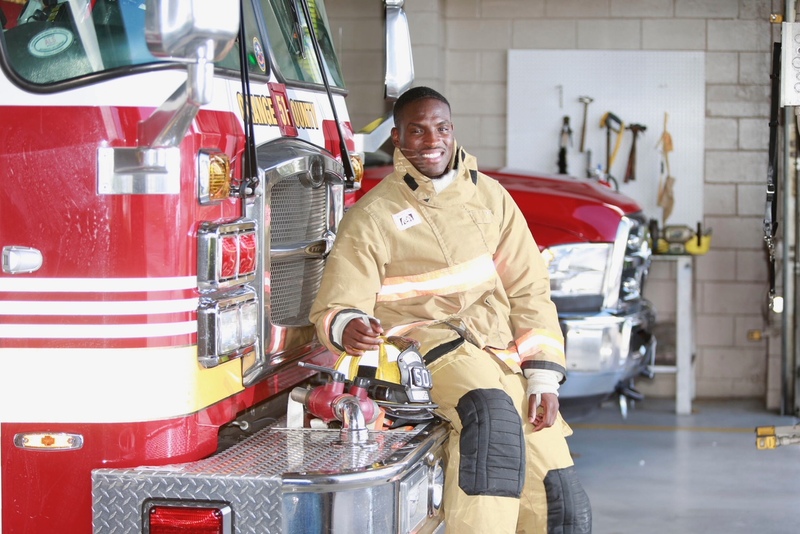 For SteveO Michel, a 26-year-old Orange County Fire and Rescue firefighter and emergency medical technician who grew up in the troubled Tymber Skan community in Orlando, his greatest joy is being a positive role model to children exposed to the same negative influences he experienced as a child. Michel believes having someone he could look up to, besides drug dealers, changed the course of his life. Between the mentoring program and playing football at Jones, under the tutelage of head coach Boris Jackson, he started down a better path. Michel’s first love was football. With the help of Coach Jackson, he landed a full scholarship at Colorado State University, where he played outside linebacker for five years and majored in social work. The first in his family to graduate from college, Michel also finished with 20 credits worth of a master’s degree in social work at Colorado State before trying to play in the NFL. The NFL was not in the cards for Michel, but he always remembered how much he enjoyed shadowing that firefighter in high school. On September 11, 2017, two years after professional football did not pan out, Michel became a firefighter. Michel added that some kids are picking up guns at the age of 14 and 15, but he wants them to pick up a fire hose and nozzle and show them a different way. To the other firefighters he works with, Michel is a hard worker and the best of role models. Michel hopes to eventually open a non-profit agency and mentor program for at-risk youth. He believes it’s all about the right exposure, and he wants to take these kids to see colleges and see how professionals go about their daily work as contributing members of the community. He also wants to write a book about his life and the importance of mentors in order to motivate others.